I have received an email from one of my learned friends, on some points which are generally being used to pass blame on BJP and Narendra Modi by many as a failure of BJP government. 1 why no difference appears because of Modi whom we feel connected with the soil of India whereas all formers were Muslim/Communists or Christian/Communists anti nationals ? (1)What I feel that all the problems and issues arise out of negligence, ignorance and thereby failure of Government in the fields of education and employment. The Nehruvian Congress has no vision right from Nehru. Its ideas on management of land and productions are not worth to debate. I have watched the making of Modi in Gujarat. He was quite an unknown person to the people of Gujarat till he was made a CM of Gujarat in 2001. A very well established leader viz. Keshubhai Patel was The CM. He was a failure to the public expectation. BJP was losing ground in Gujarat. Ahmedabad Corp election was lost by the BJP. There was a severe earth quake in Gujarat on 26-01-2001. BJP CM was a failure. Media was making fun of Keshubhai. Some how, by the grace of God, Narendra Modi was appointed as CM by Bajpai. Narendra took hold of bureaucracy. He suspended several senior officers and set Gujarat to normalcy. There was a lot of internal fights within BJP. Most leaders of BJP inclusive of Keshubhai where against Modi. They were trying to let him down. But Modi had achieved mass popularity. Media was also against Modi. Modi had discontinued the special treatment to media. A very senior writer of Gujarati literature, published an advertisement asking people to submit their opinion whether Modi should continue as CM or not. People had to use the advertised form to cast their opinion and to forward the opinion with their own postage charges. Modi got 87% votes in favor. However Keshubhai and others continued their fights. They were failed. Modi also won Ahmedabad Corp.
Then it was 2002 riot case. He handled it successfully despite of all odds. He defeated all his rivals without breaking BJP. How? Simply by encouraging education, cottage productions and infrastructure developments. Development brings employment. Infrastructure development brings developments in other fields. If there is a good governance then all these can happen if one has a will. The changes would become visible by the time of next election. Because infrastructure projects are in pipe line. During Nehruvian Cong rule a tender used to take 3 years to get finalized. It is not the case with the BJP. 2 Indians have given Modi all supper powers still he has no media which speaks good about him expect Sudarshan who is not much known . NDTV is dead antinational . Others are owned by foreign powers . Why Modi failed to rescue our media ? (2) Modi has no super power as per constitution. BJP has no absolute majority in LS, and no majority in RS. Nehruvian Congress knows how to misguide people and how to degrade those who oppose them. Nehruvian Congress has become expert in dividing people by religion, caste and language. In 1956 Nehru himself had said that if Maharashtra would get Mumbai, he would be happy. By telling this, he gave a message to Marathi people that Gujaratis are the obstructions for Marathi people in getting Mumbai. In fact Gujarati and Marathi lived together for centuries. Narendra Modi has generated a parallel media of print and TV. This is social media. Hence those who love India have to be active on social media to defeat this paid media. 3 If Modi has power to change constitution why he has not put a ban on cow slaughter and free not guilty saints from prison ? . Now he has lost supports from Sadhus community . (3) BJP has no absolute majority and has no power to change constitution. Modi might be not in favor to take risk. If Asharam is falling under Sadhu, then most Sadhus must not fall under that category. Shri Shri Ravishankar, Ramdev, and many others are true Sadhus. They do favor Modi. Rest too, would extend favor when they would generate a sense of proportion and sense of priority. BJP ruled states are doing progress on the ban on cow slaughter. 4 Modi had promised to get black money back in 100 days and every body will be much better . now when he could not do it was not his responsibility to explain poor Indians who are still eagerly waiting . Now they feel cheated . (4) We have to think with sense of proportion. Nehruvian Congress willfully failed to constitute SIT, despite of the order of SC for 3 years. Narendra Modi constituted SIT within 3 days. SIT is headed by SC judge. We should have faith in SC and SIT. Since BJP has no absolute majority it cannot make drastic changes. If ordinance is issued, it can be challenged in SC. Modi does not want to take a risk to give a chance to the media. Media belongs to the pseudo secular gang. It is always ready to abuse Modi by twisting the matters. Nehruvian Congress and its allies want to create controversy on every matter. Nehruvian Congress has avoided black money issue for six decades, despite of this, Anti-Modi gangs have become able to confuse the learned people on black money issue. They have become successful to create negative image for Narendra Modi and BJP to some extent. Most learned people have lost the sense of proportion. Should we become a part of it? 5 Because of these blunders Modi will lose in next election. It is not a blunder at all. (5) To term it a blunder and to create a negative atmosphere for BJP, is the strategy and trap made by Nehruvian Congress and Anti-Modi (BJP) gangs. How to tackle this strategy, the way out to it, depends upon us and our sense of proportion to understand and to realize the same. The pseudo secular gangs are no way better than BJP and Narendra Modi. We have to remember that Nehruvian Congress has ruled for six decades with majority period of absolute majority. BJP has never ruled with an absolute majority. Now also, it is ruling with normal majority that too in LS only. 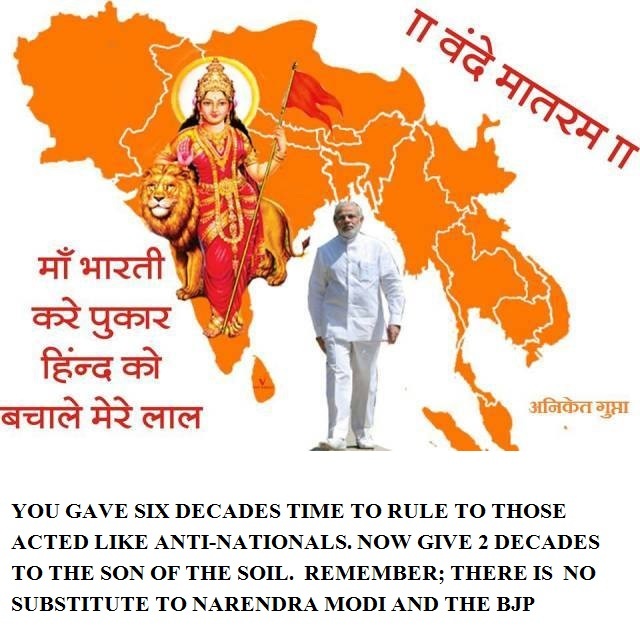 6 So , how India will save herself from wicked Congies and Muslim/Christian powers to hijack our country ? (6) As and when Hindus are attacked intellectually, Hindus have to hit them back. Hindus have good weapons to fight. It is easy for Hindus to hit them back as these Muslim and Christian leaders have basic falsehood and cunningness in their philosophy and actions respectively. When they attack on us physically, we should take legal action and to expose them, to give wide publicity. We must make such events as international issue. There is no shortage of weapon to fight intellectually against Nehruvian Congress, pseudo secular, Christian priests and decisive forces of Muslims. The nationalists should always hit them back repeatedly on their culture, character and their evil actions. They have no defense at all. Nehru’s Blunders on policy with China, Kashmir, Pakistan, Tibet, Burma, Ceylon etc… no end, including telling lies before parliament. Indira’s blunders, scams, cunningness for power, negligence on the issue of sending back the Bangadeshi infiltrators, Introduction of Vote bank politics, telling lies before court of law, Simla pact, Union Carbide deal, Emergency, antisocial activities, generating cross border terrorism and what not? Rajiv Gandhi’s inaction and improper handling of Bhopal gas hazard, making smooth pass for Anderson. Sonia’s anti-national activities, giving smooth path to Daud to run away, allowing his gang to do all the anti-social activities, unconstitutional actions and a lot scams executed openly. Besides this, her party’s willful failure of reinstatement of Kashmiri Hindus. Denial of natural rights, Human rights and constitutional rights of Hindus, her negligence on securities of Hindus’ rights everywhere. Pseudo secular and media: Spreading rumors against Hindus, neglecting Kashmiri Hindus for 25+ years. This is a grave offence of keeping mum on massacre of 3000+ Kashmiri Hindus and keeping them in exile from their own state and houses. They are living in tents from 1990, till date. Hindus should make continuous, wide spread and big noise on this criminal negligence. All the leaders like Nehruvians, Kashmiri leaders like Omar, Farukh, Mufti, separatist leaders IAS officers etc… should be arrested on unbailable warrant, put to jail and convicted for willful negligence of human rights. Christian priests: An investigation team should be constituted in each state to see as to how the Hindus were converted to Christianity. Muslim separatists and caste politics: Most Nehruvian Congi leaders and whosoever have played or encouraged vote bank politics to divide India on the basis of caste, religion, so called race and language, should be prosecuted. E.g. Akabaruddin, Azamkhan, Mamata, Nitish, Laloo, Karuna, MMS, Sonia … Even without creating any controversy the Nationalist lot of India can hit these virtually anti-nationals, very hard and continuously. As and when any of the above leaders speaks against BJP government and otherwise also, they should be bombarded by us through print media and social media. Media should be flooded with our attack. We must also know that an enemy is never a small. National enemy can never be pardoned. BJP has to follow Kautilya. BJP has not to follow Prithviraj Chauhan. Kautilya has said wisely that it is better to have an intelligent enemy than to have a foolish friend.